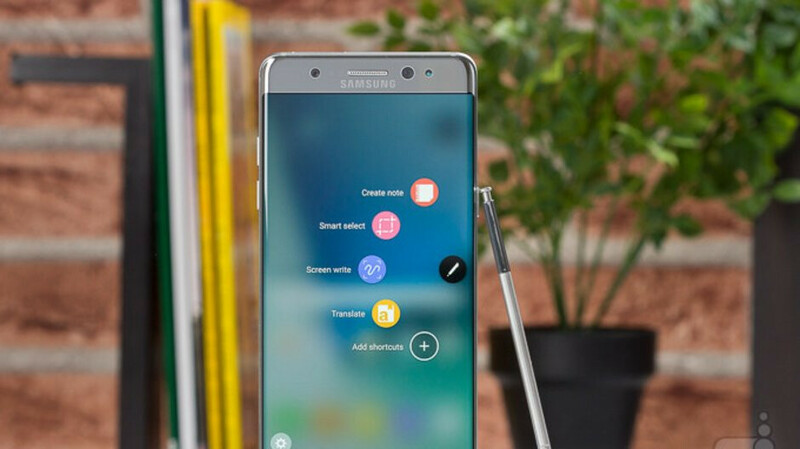 Hey Samsung Galaxy Note 7 Fan Edition owners, how bowled over would you be if your phone was updated to Android 9 Pie? Well, it could happen. 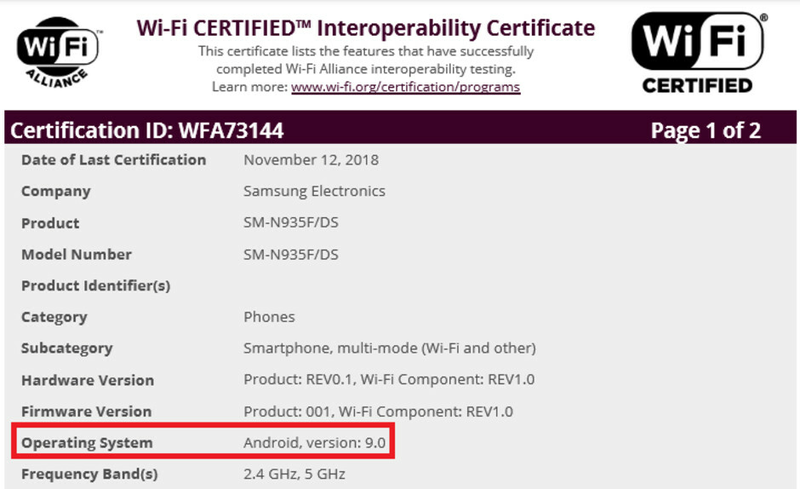 According to SamMobile, seven Galaxy handsets have recently received new Wi-Fi certifications from the U.S. based Wi-Fi Alliance. The certifications were new, dated November 12, 2018, and showed all seven phones running on Android 9.0. Samsung plans on offering beta versions of the Android Pie update, along with its new One UI, to Galaxy S9 and Galaxy S9+ owners in the U.S., Germany and South Korea in just a couple of days. The final versions are expected to be pushed out in January to the company's 2018 flagship phones, which also includes the Galaxy Note 9. The Galaxy Note 7 Fan Edition (FE) was born out of the two recalls that took the Galaxy Note 7 off the market in 2016 following several explosions. The phone, made up of unused and recycled Galaxy Note 7 parts, featured mostly the same specs used on the Galaxy Note 7, albeit with the Snapdragon 821 replacing the Snapdragon 820 chipset. A 3200mAh battery replaced the defective 3500mAh batteries used on the recalled units, and the Fan Edition model of the Galaxy Note 7 is equipped with the Galaxy S8 UI, giving it access to Bixby. The Galaxy Note 7 Fan Edition exists because the Galaxy Note 7 was heading toward record sales before the two recalls. Despite the explosions, many owners refused to comply with Samsung's offer to replace the units with any Samsung phone. This occurred even while Samsung was remotely shutting down the ability of the battery on the Galaxy Note 7 to recharge fully. Good job Samsung for updating the explosive phone ever. It's called the Fan Edition, so Samsung should award those who put their faith into the company and make sure they not only receive Android Pie, but hopefully the next version as well. This was one good looking phone that year. my s5 Neo got Nougat, came from kitkat. so why not. And consider they've been better with updates, not faster, but better with updates for sure. Also, they listen to fans more than some other companies does, so you'll def. see the S7 series with pie.